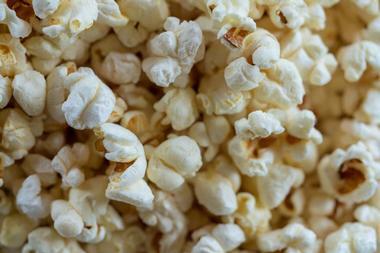 Back during the 1950’s, the state of Michigan boasted over one hundred drive-in movie theaters in operation. Since then, more than ninety percent of the outdoor movie venues throughout the state have closed. 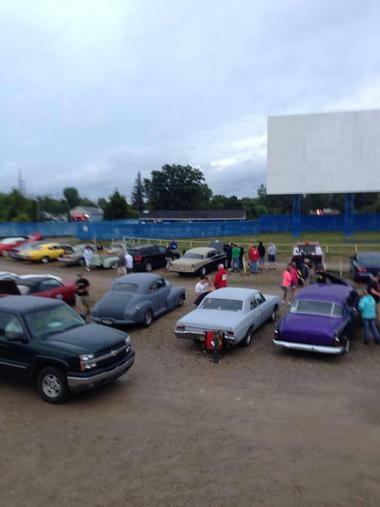 Today, less than ten drive-in theaters continue to offer an outdoor movie experience in Michigan. Among these is perhaps the largest drive-in theater in America by car count. 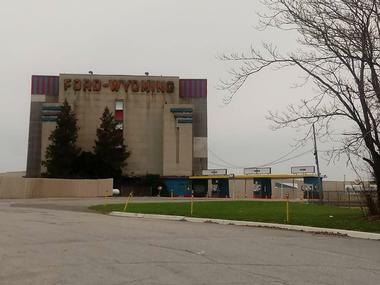 In the city of Dearborn is the Ford Wyoming with a maximum capacity of three thousand cars. It is also one of the few drive-ins that are open year round in this part of the country. The Hi-Way Drive-in theater in Carsonville, Michigan is the state’s oldest drive-in movie theater, originally opened back in the year 1947. The drive-in got a bit run down, however, the outdoor movie venue thankfully was bought by new owners later in 1998. Much has been done to the drive-in theater by the new owners to revive it, and there has been an increase in attendance at showings as a result. The Hi-Way Drive-in shows double features of current releases and recent films, beginning Memorial Day weekend until Labor Day weekend. The drive-in uses FM radio broadcast and traditional speakers for sound. 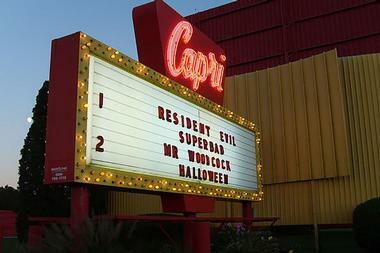 The Capri Drive-in movie theater, which originally opened back in the year 1964, is located in Coldwater, Michigan. To this day, the outdoor movie theater is owned and operated by the very same family that constructed in many years ago. Both of the massive outdoor movie screens show double features of first-run films, starting in the month of March and operating through the month of October. The Capri Drive-in has an annual tradition of ending its open movie season with a cool, fun send off, typically a party during the weekend around Halloween. There is also an on-site snack bar. As far as maximum car capacity is concerned, the Ford Wyoming Drive-in is still one of the largest drive-in movie theaters in America, once able to accommodate up to 3,000 cars. The outdoor movie theater was first a single screen one when it opened long ago. Over the years, however, it expanded quite a bit, growing to feature nine large outdoor screens. 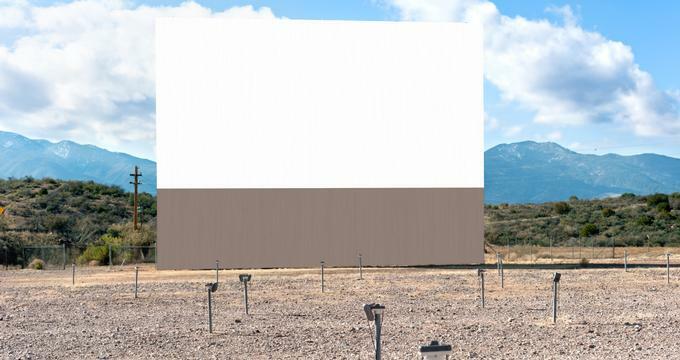 In 2010, four screens were removed, leaving the drive-in with five movie screens and a maximum car capacity of approximately 2,500 cars. The Ford Wyoming is open throughout the entire year, uncommon for most in the north. When the outdoor movie venue originally opened back in the year 1952, the US 23 Drive-in Theater one featured one large movie screen. The drive-in was one of the country’s largest single screen drive-in theaters, able to accommodate up to 1,250 cars for a movie showing. 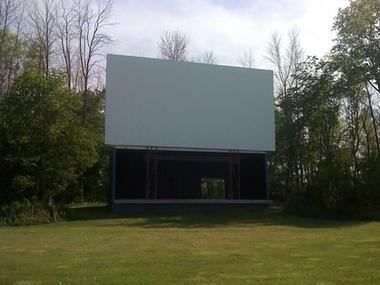 A second large outdoor movie screen was added later down the road, and with it, the outdoor theater was renamed as the 23 Twin Drive-in. The drive-in acquired a third screen, and today is known by the name US 23 Drive-in. The drive-in is open on a seasonal basis, and allows leashed and well behaved pets. 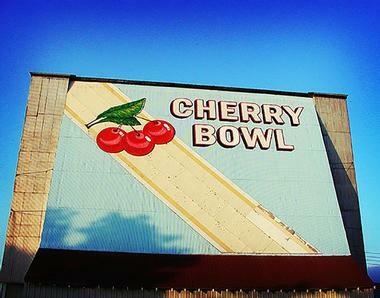 The Cherry Bowl Drive-in movie theater got its name from its location in the state of Michigan’s cherry growing region. In addition to its large outdoor movie screen, the property also features a volleyball court, a miniature golf course, and a playground. The drive-in boasts a family-friendly atmosphere, showing only G, PG, and PG-13 movies geared towards the whole family. While FM radio is used at the Cherry Bowl to provide audio for its films, there are still speakers located on the speaker posts, featuring vintage red lights that have become a rare sight nowadays at drive-in theaters. The Getty 4 Drive-in theater in Muskegon, Michigan is the last remaining drive-in within the western region of the state. 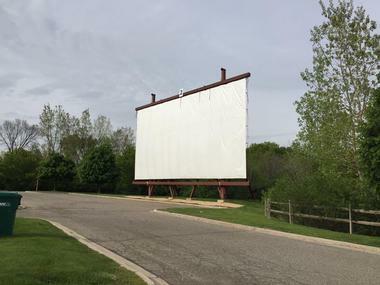 The drove-in features four large outdoor screens that show current movies during a season that runs from around sometime in the month of April to the month of October. Up to approximately 1,200 vehicles can be accommodated on the ground of the Getty 4 Drive-in. Customers are allowed to bring outside food and drinks, as well as well behaved pets. The grounds of the outdoor movie theater are also the site of a flea market during the weekends. The Summer Drive-in at USA Hockey Arena can be found just outside of the large hockey arena in Plymouth, Michigan. The drive-in theater shows first-run films on three huge outdoor movie screens during the summer season. There is also a full-service restaurant situated on the property that serves sports bar-like food, such as pizza, burgers, sandwiches, along with some more restaurant-quality dishes and southwest specialties. The Summer Drive-in certainly isn’t like the older drive-in movie theaters from the 1950’s, however, the outdoor movie venue is still a good drive-in theater for families who want some outdoor fun during the summer.